The ethical crisis in business and information technology is very real. Countering this crisis by creating organizational cultures grounded in moral character is the challenge people face as leaders if they are to regain the respect and confidence of the public. As educators of future business and information technology leaders, how can educators prepare their students to understand, appreciate, and contribute to the establishment of cultures of character in the organizations which employ them—and which they may ultimately lead? In this article the authors distinguish among four corporate cultures with respect to ethics —cultures of defiance, compliance, neglect, and character—and present a blueprint for constructing an organizational culture grounded in moral character. With respect to showing students how to contribute to such a culture, the authors then (a) describe how to establish an effective learning context for teaching about ethics, (b) proffer a number of practical suggestions for student assignments and experiences that can empower students to understand, appreciate, and contribute to organizational cultures of character, and (c) explain how to enhance experiential learning by conducting an effective debriefing session. 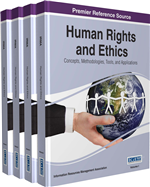 The authors conclude the article by providing three examples from their own experience illustrating how these ideas can be incorporated into programs designed to show business and information technology students how to contribute to organizational cultures grounded in moral character. According to Trevino and Nelson (2004, p. 225), “‘Culture’ has become a common way of thinking about and describing an organization’s internal world—a way of differentiating one organization’s ‘personality’ from another.” Schermerhorn (2005) defines organizational culture as “the system of shared beliefs and values that develops within an organization and guides the behavior of its members” (p. G-12). “Whenever someone, for example, speaks of ‘the way we do things around here,’ they are talking about the culture,” continues Schermerhorn (2005, p. 96). Using such important components of culture as core values, stories, heroes, symbols, and rites and rituals, ethical leaders must influence the organization and its members to incorporate and exhibit desirable virtues and behaviors (Sauser, 2005b).